(Reuters) - UBS Group AG, Switzerland's largest bank, said it expects to be sued by the U.S. Department of Justice as early as Thursday on civil charges related to the sale of mortgage-backed securities in the run-up to the 2008 global financial crisis, according to a company statement. 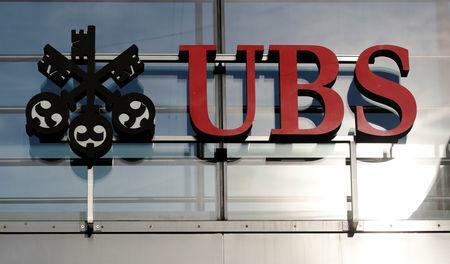 UBS said the Justice Department advised the bank that it intends to file the lawsuit. It anticipates the Justice Department will seek unspecified monetary penalties stemming from mortgage securities which date back to 2006 and 2007. The lawsuit against UBS, a small originator of U.S. residential mortgages at the time, is among the last actions over misconduct in the sale and pooling of mortgage securities which helped to cause the financial crisis. In recent years, the Justice Department has settled similar claims with Citigroup Inc, Deutsche Bank AG, JPMorgan Chase & Co, Credit Suisse Group AG, Morgan Stanley, Goldman Sachs Group Inc, Bank of America Corp and Barclays Plc. More recently, HSBC Holdings Plc agreed to pay $765 million in October to settle with the Justice Department over its sale of defective mortgage securities before the crisis, while major player Royal Bank of Scotland Group Plc reached a $4.9 billion deal in May. After the crisis, banks were accused of deceiving investors about the quality of loans underlying the mortgage-backed securities they pooled and sold, with loans made to borrowers with no ability to repay them and based on inflated home appraisals. UBS, which originated $1.5 billion of U.S. residential mortgages in a $5 trillion market, lost more than $45 billion when the housing market collapsed, a person familiar with the matter told Reuters.